Willbrook Plantation was designed by renowned golf course architect, Dan Maples, and he made the most out of the beautiful Lowcountry setting. 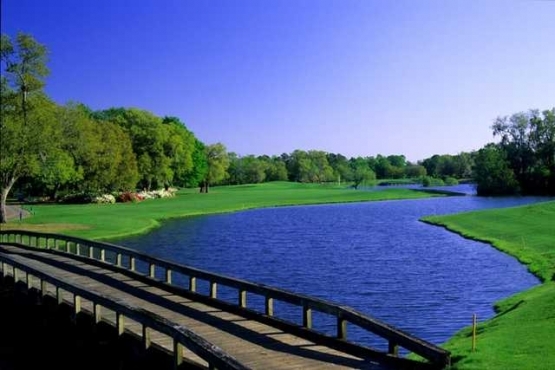 Set between two plantations Willbrook offers the very finest in Southern tradition and Myrtle Beach golf. Willbrook meanders through natural grasses, wetlands, marshlands, century-old oaks trees and towering pines. The lush fairways lead to undulating Champion Hybrid Bermuda greens. The course has an abundance of wildlife and offers many great Myrtle Beach golf photo opportunities. The course is playable for everyone and received “America’s 50 Best Courses” award by Golf for Women Magazine. The course measures 6,722 from the blue tees, 6,292 from the whites, 5,829 from the gold and 4,981 from the red tees. Positioning off of the tee will be rewarded on Willbrook. The Grand Strand is the perfect place to plan your next vacation. Myrtle Beach has so much to offer with its wide selection of Myrtle Beach attractions and Myrtle Beach entertainment. The wide sandy beaches can be enjoyed by all in the moderate Myrtle Beach weather. Myrtle Beach Golf Authority golf packages take the hassle out of your golf trip. They take care of your Myrtle Beach tees times and offer the very finest in Myrtle Beach and North Myrtle Beach accommodations. With approximately 100 Myrtle Beach championship golf courses to choose from, they will design the perfect golf vacation for you. It is time to book your Myrtle Beach golf package today!